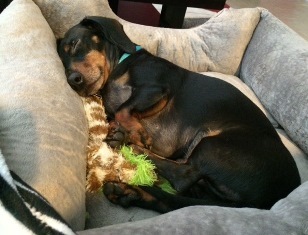 Quincy is doing wonderful! 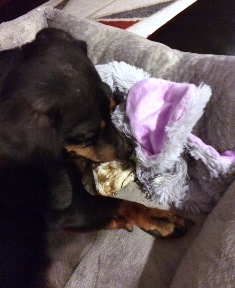 He has been such an amazing addition to our family. 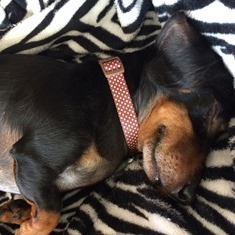 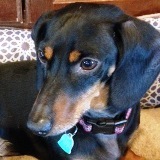 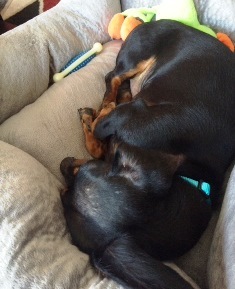 We have 2 doxies and Quincy loves to play and cuddle with them. 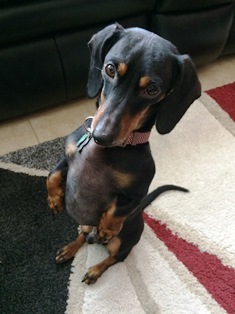 He loves his daily walks and loves his toys even more. 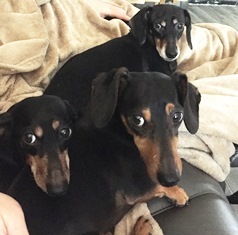 I have attached a photo of the 3 pups together on the couch. 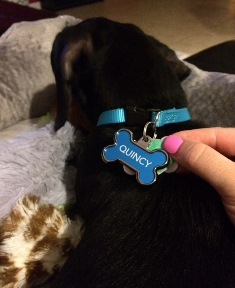 Quincy has such a great personality and is so lovable. 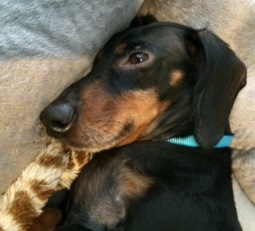 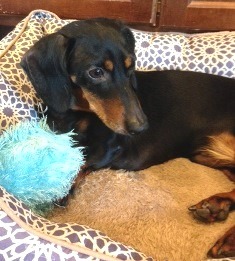 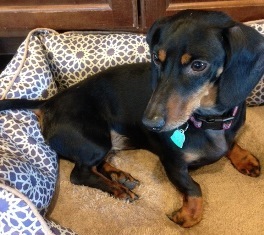 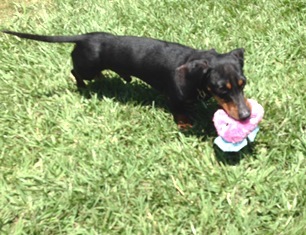 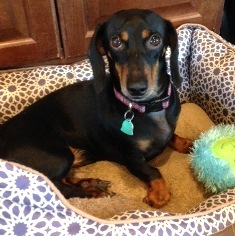 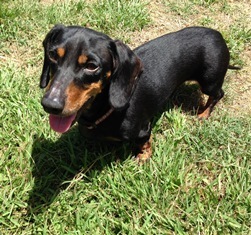 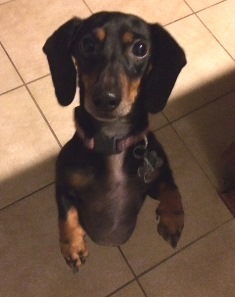 We feel like we have had Quincy since he was a pup, he was the doxie we didn't know we were missing.